View More In Commuter & Travel Mugs - Page 7. Keep your drinks fresh while on the go. This unbreakable, double-wall vacuum designed travel cup is made from BPA free 18/8 stainless steel. The tritan lid includes an extended finger tab for easy removal, a silicone ring for a secure fit and slides close to prevent spills. 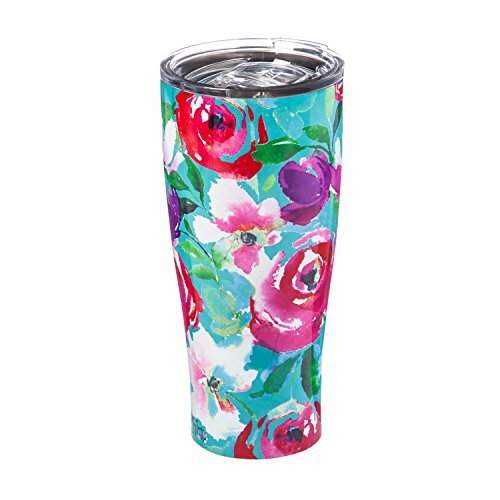 This cup is dishwasher safe and shatter resistant while keeping drinks hot for up to 6 hours and cold for up to 12 hours. This travel cup holds up to 17 ounces of your favorite hot or cold liquid.